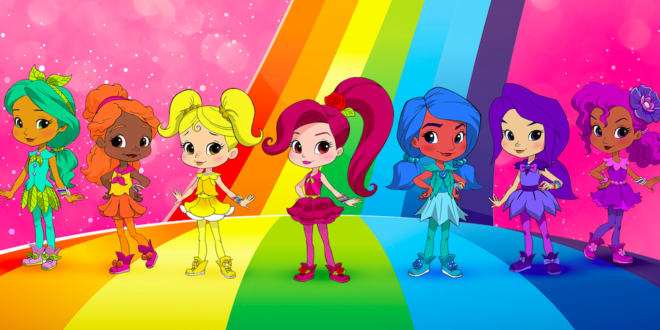 Genius Brands International has appointed APC Kids as the exclusive agent to handle content distribution for its new pre-school series Rainbow Rangers. The deal will see APC Kids distribute the series throughout EMEA, including Russia and ex-CIS countries. The CGI animated series Rainbow Rangers follows the rescue-based adventures of seven nine year old girls who are Earth’s first responders – protecting people, animals, resources and the beauty of the world. The series is slated to premiere in autumn this year on Nickelodeon’s Nick Jr. Genius Brands is also developing a consumer products programme to follow the launch which will begin rolling out in the US in late spring 2019. The programme will be led by global master toy partner Mattel and global master publisher, Imprint, a part of Macmillan Children’s Publishing Group. Genius Brands’ SVP global content distribution and marketing and president of Kids Genius Cartoon Channel, Deb Pierson, said: “The buzz around Rainbow Rangers has been nothing short of phenomenal and we are thrilled with the partners that we are assembling across content sales, licensing, merchandising, retail and promotions to bring this unique brand to market this year.